Some of our best life experiences are defined by the smallest and simplest of things. The play-cards a child writes, the smileys your friends send, the blade your razor holds! Ever imagined how difficult life would have been without these, especially without the best straight razor blades. Yes, the quality of your day could go up or down depending on how that DE blade likes you! A small nick could trouble your wits out. But how exactly do you find if a blade is good enough? You can’t judge the sharpness merely by looking. And they all look freshly of the same cloning factory. To save you the burn of it, I have compiled some of the best blades that define wet DE shaving at this moment. For those of who you have used the Personna blades, there is good news straight up. The new models are glide-coated to make the edges 25% sharper. Each blade is wrapped individually and there is a dispenser cartoon that allows you to get one blade out at a time. Since the blades are double-edged you may use them in safety razors as well as straight razors. If you use these blades with straight razors, we recommend you cut them with a sharp pair of scissors. Do not fold with hands. 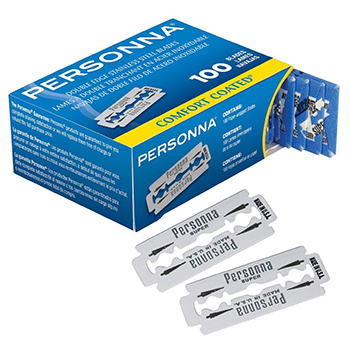 Since the blades are not too sharp, shaving against the grain does not seem much of a problem with the Personna blades. But you will always do well to start off slowly and only try against the grain if you are sure the blade and your skin share the same agenda. Among the ones made inside the USA, these are really priced impressively. Can be used with safety razors and straight razors. Smooth up and down strokes. Not the sharpest razor around. Quality control issues with a few blades. The Shark Super razors are single-edged but you may also use them with Shavettes that allow ½ of a double edge blade. Additional installation skill might be required. This is a great quality razor that you may consider using personally too. You will find the box amazingly big. In fact, it is so big it gives a feeling you will never run out. The blades are sharp and durable. You cannot discern a drop in teeth in the first three shaves. The Shark Super Stainless blades go well with almost any choice of shaving gel. You can expect better results with the thick soaps when applied with a brush. Given the flex and thinness of the blades, you will find them pretty strong. Even if you are among those who regardless do not repeat blades, you will but these just for their sharpness and the closeness of shaves that achieves. Thin blades, work with some safety razors. Shave closeness best in segment. Not much for mild skin people. Standard adaptability issues could occur. 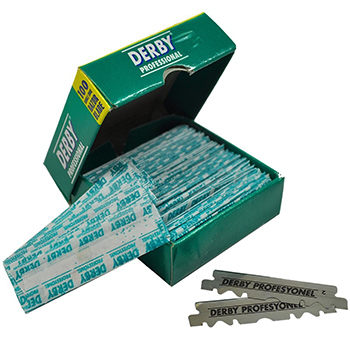 The derby professional single razor blades could be your perfect companions if you are using something like the Dovo Shavette. And these are the more inexpensive kinds, the ones you can easily afford to change every day. That totally cuts out any need for stropping. While there are some complaints about the sharpness of the blades, you should understand that straight razor blades take a while to adapt to individual skin types. 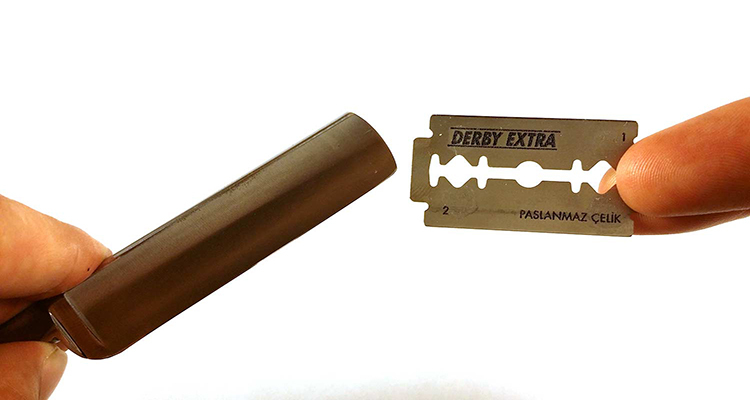 Unlike the usual blades, these come individually wrapped and you will not need to cut them into halves. The real joy is in the detailing of the shave that you can achieve with these razors. They really give you that sheen which you expect only from the top performers. However, you will note that there are some 10 to 20 blades in each pack that are dull. They usually come in the same row. But that is pretty much a trade-off for the price. Can be used with professional straight razors. No need for additional stropping. Some faulty pieces in every set. May result in initial sensitivity issues. For the avoidance of confusion let us start with telling you that there are 100 blades in the pack and each of them are double-edged. Now these are the blades for you if you have always avoided the sharper blades like Bic and Feather. The Dorco blades are super-friendly with sensitive skin. For many people who have used a variety of mild razors, Dorco has been the only and constant point of satisfaction. 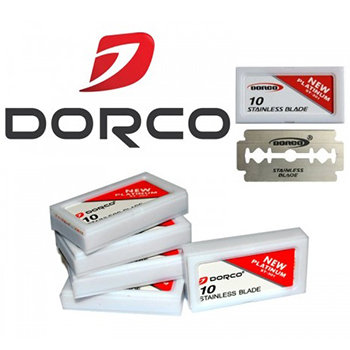 The Dorco blades are perhaps the only straight razor blades that allow up and down shaves on sensitive skin. You can ideally do two shaves with one edge of the blade. So we have four shaves per blade. While you can do even higher numbers, the edges really teeth after the second shaves. These blades also fit the bill well for you if you have just started shaving with a DE razor and want to try something mild before moving onto sharper blades. Very ideally suited for sensitive skin. Does not cause razor burn. Could be too mild on tough beard. Not tested on all skin types. The BLUEBIRD Single Edge sits straightly out on almost every straight razor. You can easily carry these blades even if you have a barber shaving you. Such is the compatibility. It sits well with almost all manufacturers that manufacture shavette or cut throat razors. If you own a straight razor from parker, Shaving Factory, Dovo or Focus, do not worry about the compatibility in the least. 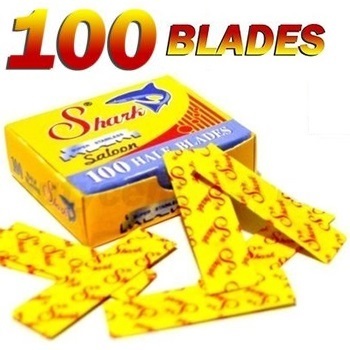 There are 100 blades in every pack and each blade is wrapped individually. Now these Dorco blades fall into the ‘sharp’ category and that means you should try something else if you have sensitive skin. But if you are someone who likes sharp shaves, these are theones for you. And since these are very sharp blades, you can easily shave thrice with the same blade. While the pictures could be mildly misleading, these blades are short and not long. That also contributes to the closeness of shaves you achieve with these razors. Single blade, no finger-cutting risk. Can be used with safety razors too. Could cause razor burns at the start. What characteristics will you look when buying a straight razor blade? Cutting performance: There is really no point in investing in a straight razor blade unless you are returned toothy cutting performance. 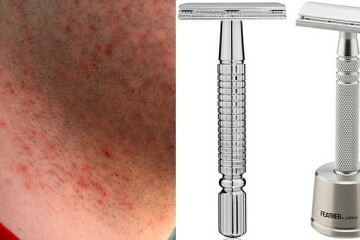 That is really the one place where straight razors are at par with the foil razors. Comfort: The comfort of shaving with a straight razor is unmatched for some. But in order to discover that comfort, you will have to be very specific in your choice of the blade. 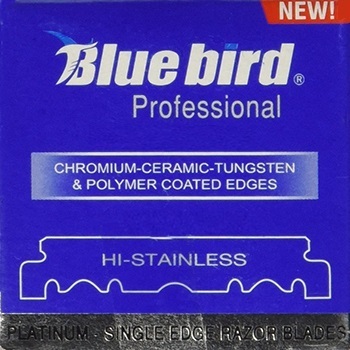 Price: Straight razor blades are priced much lower than electric foil and blade replacements. Yet the category remains closely contested on prices. It is very important that you compare prices and understand the value for your money. What makes the 100 shark super stainless straight edge barber razor blades better choice than the rest? The Shark Super Stainless bladesare nothing special in particular. It is just that these blades beat the competitors feature for feature. These are sharper than any of the ‘sharp’ blades reviewed. They last well beyond three shaves, something most blades cannot achieve. But the real difference maker is the closeness in shaves that you achieve with these blades. They are just as sharp as you like and are yet flexible enough to allow greater exertion of pressure in the difficult areas. Smaller products often require greater considerations. Straight razor blades may make you walk crooked paths if you are not right with the decision making. My courtship with facial hair begun ever since the first hello. Over the years, I went ahead and tried several styles, machines and routines; so much so it has become a passion now. That’s pretty much why I got this site up for you – review new devices, compare existing ones and keep you lathered up with all the latest stuff happening out there. Boar VS Badger! 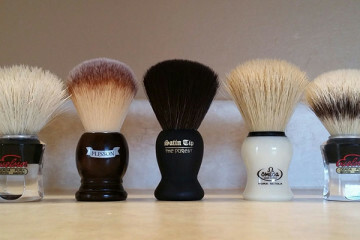 Which One is The Best Shaving Brush?